Lock in a great price for Kyoto Tokyu Hotel – rated 8.5 by recent guests! 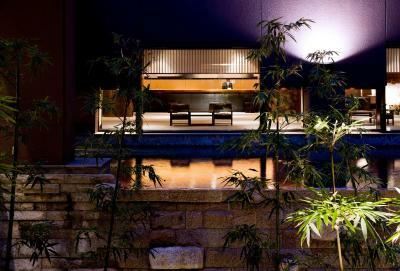 The design of the lobby and the garden space highlighted the Kyoto style. Just seat in the lobby and look at the garden is an enjoyment. 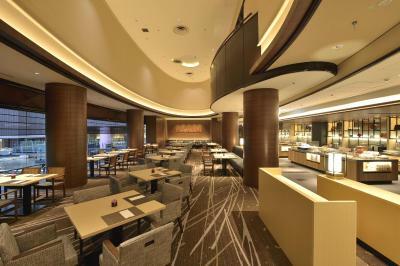 Love the space and natural feel at the lobby. 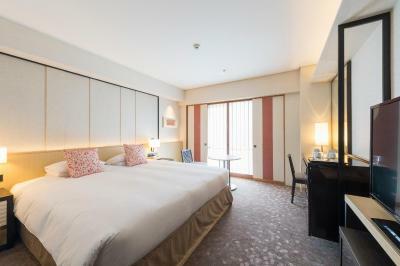 Our room is spacious, comfortable and clean. The staff are very attentive and helpful. 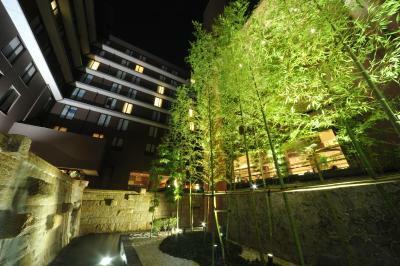 Hotel has grand lobby and public spaces are organized a central garden. Room was quite large for Japan. Functional, clean, and well designed. Excellent service. Shuttle to the train station. Clean, spacious. Loved the slippers they provide, loved the separate toilet area and the delicious coffee! Also appreciated the free shuttle back and forth from Kyoto Station. 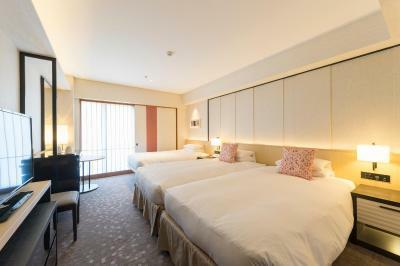 The size of the room, beds, pillows, toiletries, bathroom, illumination, etc. 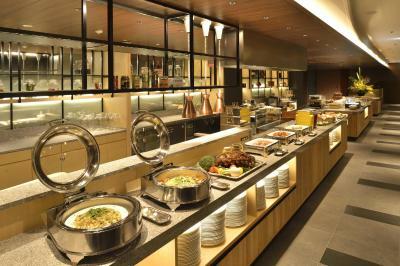 Friendly staff, good foods, good location yet quite . Corresponds to 5 star level. 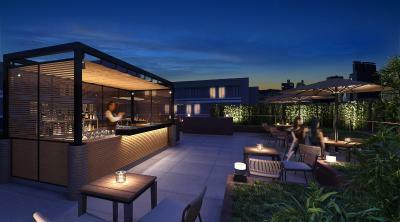 Very nice design of the common premises and rooms, stylish and of a good taste. Very clean. High standard of finishings. Excellent concierge service. Shuttle bus is very convenient. Staff was really friendly and helpful. The room was really clean and big (we stayed at the triple-bedroom). Location was OK, a bit far from public transportation but there is a direct shuttle bus to Kyoto Station so that's really helpful. We also took taxis several times which just took around 10 mins from Gion. I'd consider staying here again. 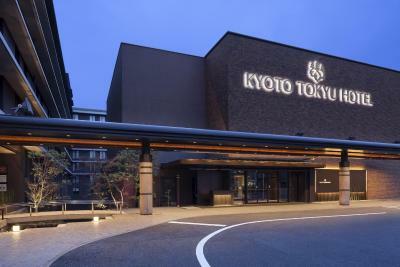 Kyoto Tokyu Hotel This rating is a reflection of how the property compares to the industry standard when it comes to price, facilities and services available. It's based on a self-evaluation by the property. Use this rating to help choose your stay! 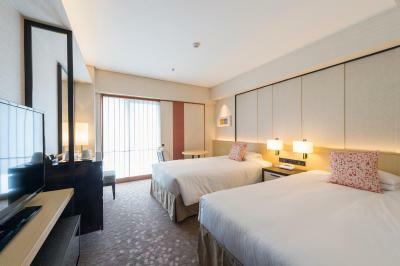 Just 5 minutes from Kyoto Station on the free shuttle, Kyoto Tokyu Hotel features 3 restaurants, a bar and a fitness gym. 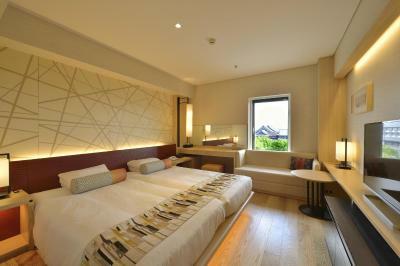 The modern rooms have Tempur comfort pillows and a satellite LCD TV. Free WiFi is available throughout the property. You can kick back with a drink from the mini-bar or have a hot soak in the private bath. All rooms are air-conditioned and include a fridge and an electric kettle. 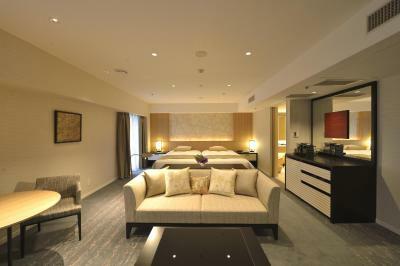 Guests staying in superior and premium room types are entitled to complimentary access to the on-site fitness center. All guest rooms are nonsmoking, while there is a designated smoking area on site. World Heritage site Nishi Honganji Temple is just a 5-minute walk away. 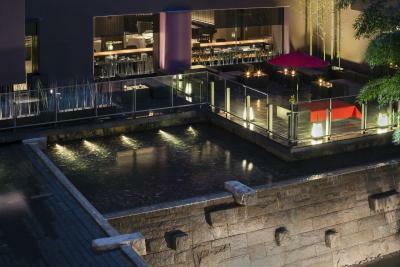 The Gion area and Kiyomizu-dera Temple are a 15 minute taxi ride. Guests can stay in shape by exercising in the fitness gym, or they can enjoy drinks at The Terrace in the waterfall courtyard. 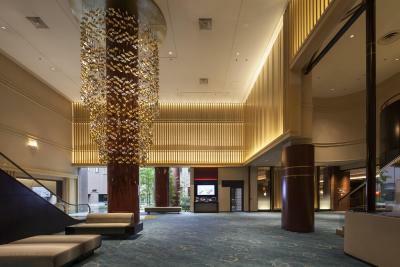 The concierge and 24-hour front desk will assist your needs and requests. 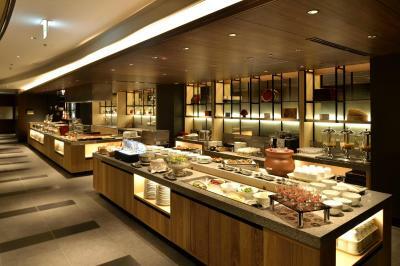 Open for all meals, the newly renovated All Day Dining KAZAHANA serves Western and Japanese dishes. 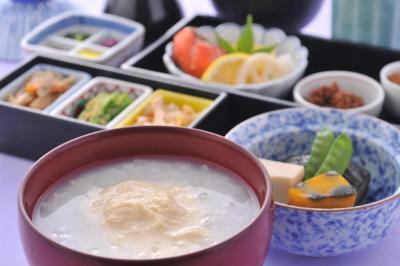 Tankuma Kitamise features local Kyoto cuisine while Chinese cuisine is available at Star Hill. Room service is also available. 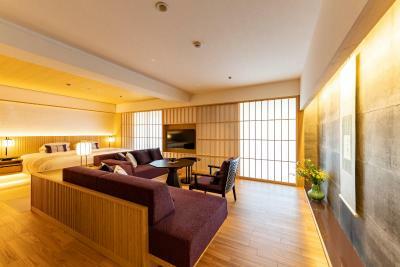 When would you like to stay at Kyoto Tokyu Hotel? All rooms are air-conditioned and have a fridge, an electric kettle and a flat-screen TV with English channels. An en suite bathtub is included. Free WiFi is available. 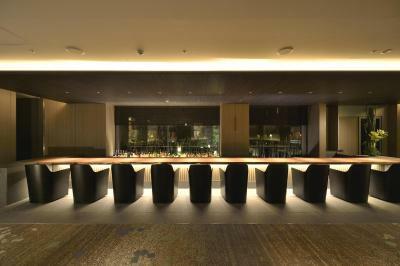 Private parking is available on site (reservation is not possible) and costs JPY 1000 per day. All rooms are air-conditioned and have a fridge, an electric kettle and a flat-screen TV with English channels. An en suite bathtub are included. Free Wi-Fi is available. Located on floors 5-6, rooms include special toiletries, a Simmons mattress, and free WiFi. All rooms are air-conditioned and have a fridge and an electric kettle. A mini-bar and an en suite bathtub are included. Guests staying in this room type has free access to the fitness center. Located on floors 7-8, rooms include free toiletries, free WiFi, bathrobe and a security door. All rooms are air-conditioned and have a fridge and an electric kettle. A mini-bar and an en suite bathtub are included. This quadruple room has a electric kettle, flat-screen TV and mini-bar. When the room is booked for 3 or more people, an extra bed will be prepared for the 3rd guest, and a sofa bed for the 4th guest. No extra beds will be prepared when the room is booked for 2 people. Please indicate the correct number of guests at time of booking. 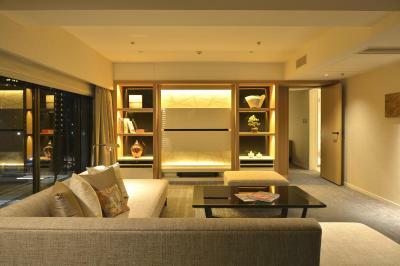 This quadruple room features a mini-bar, executive lounge access and satellite TV. This triple room has air conditioning, electric kettle and cable TV. This double room has a executive lounge access, electric kettle and bathrobe. This twin room has a satellite TV, air conditioning and electric kettle. 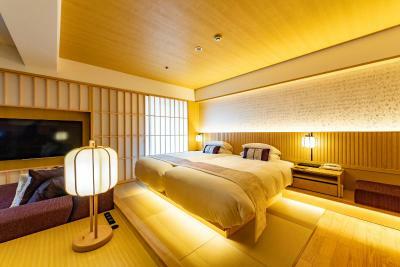 House Rules Kyoto Tokyu Hotel takes special requests – add in the next step! Kyoto Tokyu Hotel accepts these cards and reserves the right to temporarily hold an amount prior to arrival. The shuttle bus between JR Kyoto Train Station and the hotel runs every 15-30 minutes from 08:05-20:50. (Every 15 minutes from 08:05-11:35, 16:50-20:05, every 30 minutes at other times). The shuttle departs from Kyoto Station's Hachijo Exit. Requests at the time of booking are not guaranteed. They depend on availability upon arrival. Please note that the hotel will undergo a scheduled power outage due to facility inspections and electric facilities including WiFi, air conditioning, elevators and hot water supply will be out of service on the following dates/times: 07 May 2019, 01:30-04:30 in the morning. Disappointed with back street view. Couldn't open the window. I booked a Premium Hollywood Triple Room actually. Busy hotel on the weekends when tour groups pass through. Hotel is large enough to accommodate, though. 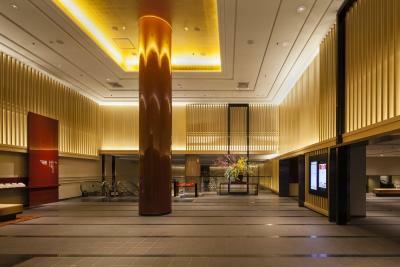 Good hotel with bus service if you need it to Kyoto Station which otherwise is a 20-30 min walk. If you opt to get breakfast off site there is a nice place across the street. Amazing room. Amazing lobby. The hotel was so pretty and so beautiful. Everything was clean and their amenities were great. Staff were very nice. Enjoyed our time there. Unfortunately, the hospitality at this hotel leaves much to be desired. The check-in process was quite unfriendly and did not match the service expected at a hotel of this standard. It was cold and unfriendly and not very accommodating to our simple request. The room was also abit dated and did not have enough power points. The rooms were decent sized and had the basic amenities provided. 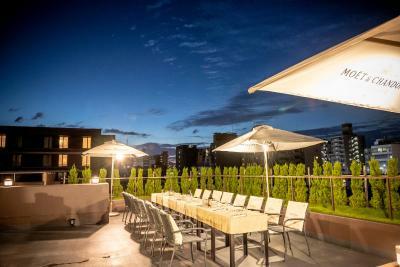 Location which is less than 10 mins from Kyoto Station by taxi. 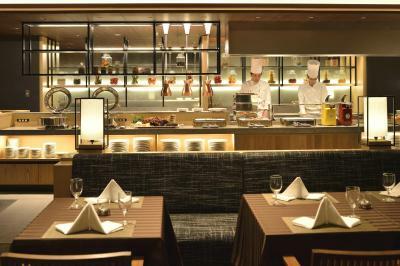 Quiet and excellent staff service and choices of restaurants available. The room was a bit outdated . It was overpriced for the room size and the furniture. Its location is good. Hotel entrance and facilities are good. Staff is very helpful. Free shuttle bus to train station is also a plus. 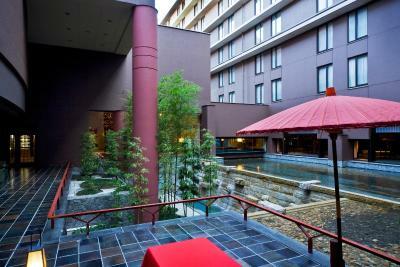 The setting of the hotel was very pleasant with a lovely Japanese garden view. Location... it is a bit far from any stations.